The Twin cities were born of the flour industry and today they are a thriving upper midwest metropolis with tons of activities. When travelers first hear “Minneapolis” they may think of snow and Scandinavians, but the history, art, culture and beauty of Minneapolis are what truly make this Minnesota destination a place worth visiting. Where nature meets skyscrapers and “Minnesota nice” blends with the fast pace of city-life, Minneapolis is a place which ought to be experienced, not just visited. 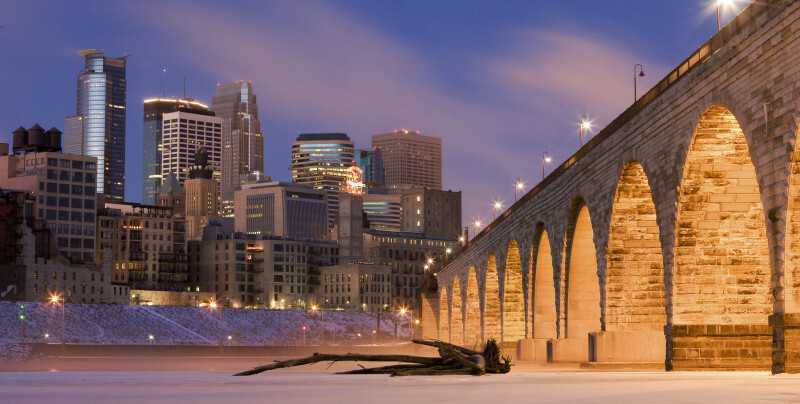 Minneapolis is a city vibrantly alive all year-round. For those wanting to hit the iconic spots, be sure to embark on an icon tour of the city, including the historic Stone Arch Bridge, Target Field, which is home to the Minnesota Twins, the nationally-recognized Guthrie Theater, and the impressive IDS Center, which was the tallest building west of the Mississippi River for many years. For more information on these famous places, go here. Photo courtesy of Justin Koenig via wikivoyage. 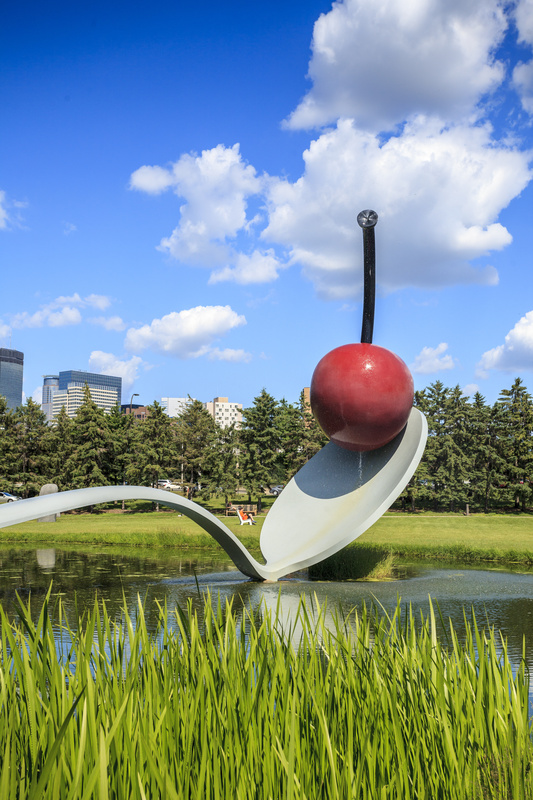 For those wanting to get out and see the sites on their own, be sure to check out the world-renowned Walker Art Center and snap a picture in front of our famous “Spoonbridge and Cherry” in the Minneapolis Sculpture Garden. 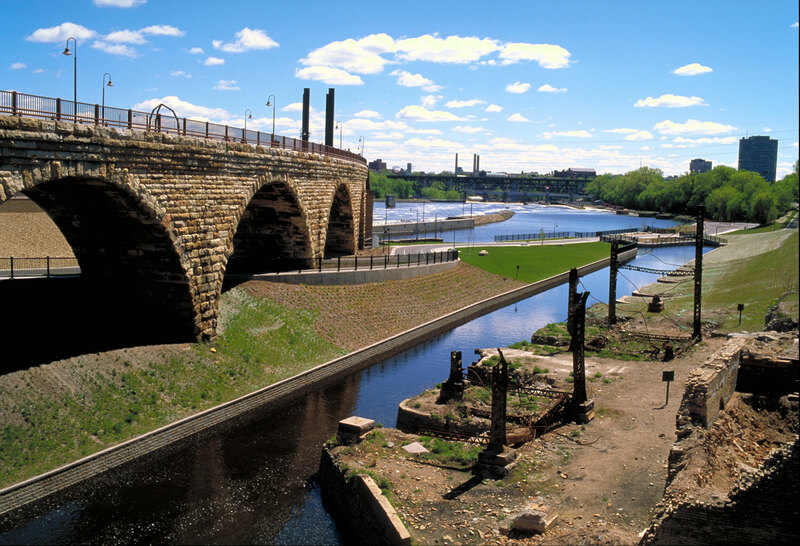 Shift gears from modern to historic with a visit to Mill City Museum, which is a great way to get the low-down on how it all started with one product, flour, and the industry that fueled Minneapolis’ growth to the milling capital of the world for years. No matter the season you visit the City by Nature, the chain of lakes, five of the 22 lakes within the city limits, are perfect for connecting with nature in the middle of a major metropolitan area with trails connecting them all to the 50+ miles of the Grand Rounds National Scenic Byway. Rent a canoe or kayak. Stroll or bike along paved shoreline paths. When the snow falls, visitors can do some cross-country skiing or watch ice surfers skim across the surface of the lake. You can even join a pick-up game of pond hockey in the home of the U.S. Pond Hockey Championships each winter. For a full list of sports, parks and trails head here. Minnesota’s capital city has an exciting collection of museums, parks and historic sites, but you’ll also want to mix in a local craft brew, the classic “Juicy Lucy” burger and the Nice Ride bike-sharing program during your visit. 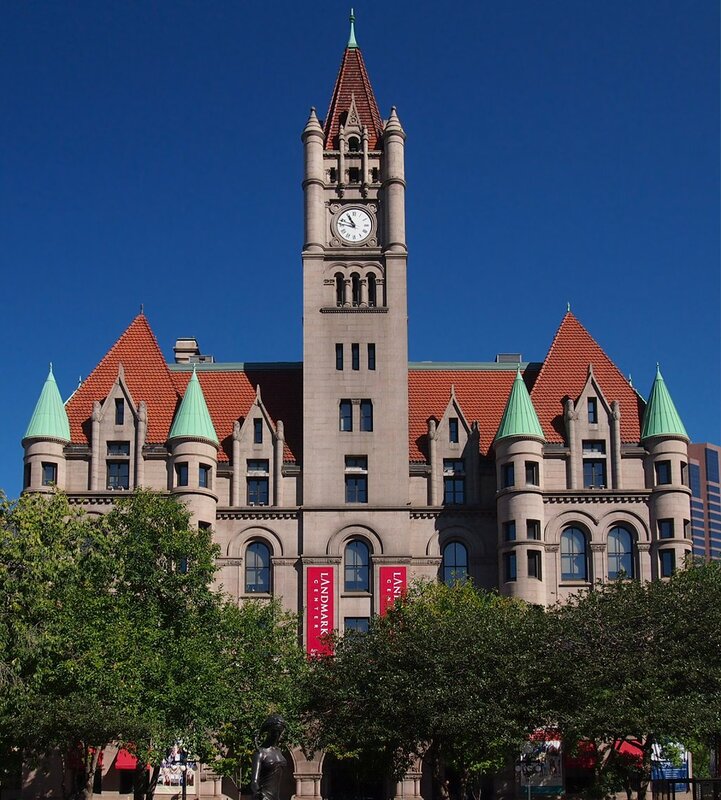 Downtown Saint Paul is centered around historic Rice Park which is older than Central Park in New York City. 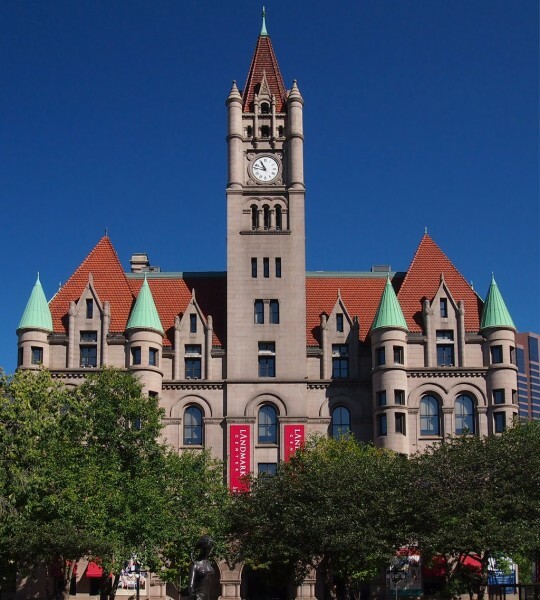 Nearby, the iconic Landmark Center takes visitors back to the early 1930s when it served as the United States Courthouse, where John Dillinger’s girlfriend was put on trial. It now offers a number of guided and self-guided tours of the building and the downtown area. Visit the Wabashaw Street Caves. The caves have been home to mobsters, speakeasies, and in more recent years have begun hosting a “Swing Night” on Thursday nights with live big-band music. The Wabasha Street Caves also provide historical tours of the sandstone caves in Saint Paul and Stillwater, Minnesota. Six blocks away is the historic Lowertown District, filled with restaurants, art studios, coffee shops and nightlife all centered around Mears Park. Just outside of downtown is Summit Avenue, which is the longest stretch of preserved Victorian architecture in the United States and ends at the feet of the Cathedral of Saint Paul and the Minnesota State Capitol. Free tours are available at these beautiful stone structures. In between tours of our historic masterpieces, take time to enjoy a local craft brew and the renowned “Juicy Lucy” burger, then pedal your way to another tour with the Nice Ride bike-sharing program. A “Juicy Lucy” should be on your bucket list. 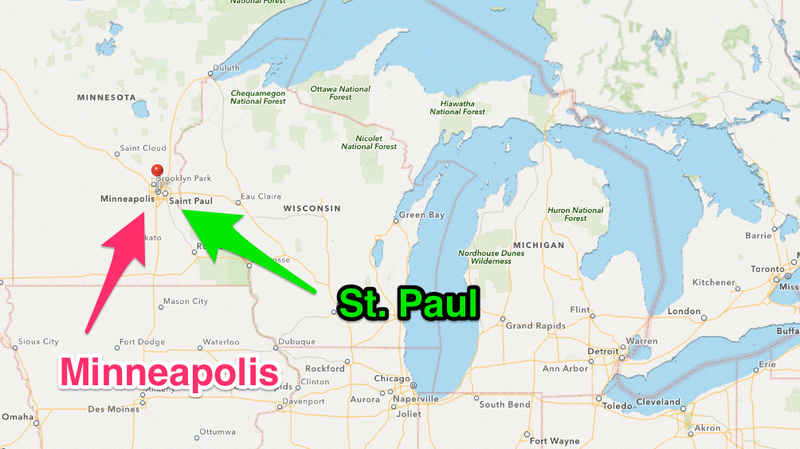 Minneapolis and St. Paul are both known for their “Juicy Lucy” burgers. This hand-pattied burger has molten cheese (and other ingredients) inside. Several Saint Paul burger joints serve them, including The Nook, Shamrock’s, Bennett’s and Groveland Tap, but no one makes them quite as crazy as the Blue Door Pub, where 10 “Juicy Blucy’s” are available, including the “Bangkok Blucy” and the “Breakfast Blucy.” Enjoy this tasty creation on your next visit, but we suggest you eat the fries first. For visitors looking to explore the city on two wheels, the Nice Ride bike sharing program now connects you to everything in Saint Paul for only $6 a day. Look for the bright green bikes at docking stations in high traffic locations around the city, check out a bike and let your two-wheeled adventure begin. Pedal along the Mississippi River, through the heart of downtown or both. You’ll see why we are one of the most bike friendly cities in the United States. For more information on a historical visit to Minneapolis go to www.minneapolis.org. For more information on a vacation in St. Paul visit www.visitsaintpaul.com. Photos courtesy of Dollar Photo Club & Wikimedia Commons. Been to all these locations, and even learned a few new things.